We’ve all heard the saying “It’s lonely at the top.” Whether we’re business owners, church leaders, CEOs, entrepreneurs, stay-at-home mothers or fathers, single parents, or something else, we all face innumerable problems and decisions that must be made. But we don’t always have a lot of people with whom we can candidly discuss our doubts, questions, and fears. We like the idea of standing on the summit of a mountain, “at the top,” in awe of the breathtaking view, but to get there means putting one foot in front of the other even when we’re tired, hungry, thirsty, and ready to give up. It means choosing to keep going when others around us give in to cultural norms and counterfeit faith instead. The crowd, for the most part, stays at a figurative base camp in their following of Jesus, and the few will choose to climb to the summit on the narrow road that leads to life. Following Jesus can be lonely at times as we step away from a crowd mentality and take the road less traveled on which not everyone is willing to go. Our relationship with Jesus searches our belief systems and heart motives in order to bring about inward and outward transformation. Take the Sermon on the Mount, for instance, in Matthew 5–7. Jesus does not hold back when teaching His disciples here. In each layer of revelation, He raises the bar. He starts with the Beatitudes and moves into being salt and light, a city on a hill, and the light of the world that cannot be hidden. He speaks of how He has come to fulfill the law, raising the standard for us as His followers. When He speaks of murder, He makes it clear that unholy anger with our brothers and sisters brings damage to our hearts and lives as much as taking a life does; when He speaks of adultery, He says that merely lusting after another is tantamount to the same thing. He goes on to counter our thinking about divorce, making oaths, and justice—no longer is it an eye for an eye but we’re now to turn the other cheek. And we’re commanded to love not only our neighbor—that’s easy—but also our enemy. What about giving to the needy and not telling the whole world about it (yes, let’s put our phones down) so that we’re not associated with hypocrites? He walks through the depths of prayer and teaches us how to pray, then how to fast, again, unlike the hypocrites. He tells us how to give and that where our treasure is, there our hearts will be also. He tells us not to worry because even the birds of the air are taken care of; we are to seek first the kingdom of God and everything else will be taken care of. He reminds us that the way we judge others is the way we’ll be judged. At the same time, He lets us know that God is a good Father who, when we ask, seek, and knock, won’t give us a stone in place of the bread we cry out for. He points to the narrow way that many are not accustomed to. We’re also to watch out for false prophets and false disciples by testing their fruit. Lastly, He speaks of the difference between wise and foolish builders: “Therefore everyone who hears these words of mine and puts them into practice is like a wise man who built his house on the rock” (Matt. 7:24). If we are following Him and not faking it, doing what He has shown us to do, we are wise builders, able to withstand rising waters and tumultuous storms. It’s impossible to halfheartedly follow Jesus—it’s an all-in life; the Sermon on the Mount reveals this truth to us. We cannot claim to be Christians or followers of Jesus and go on living a nominal existence, merely attending church on Sunday (when it fits in our schedule that week) with our Monday through Saturday looking exactly the same as the week before and the week before that, while taking for granted the bounty of knowledge and revelation we have access to in the Word and in the unbroken connection to the Holy Spirit. Going to church doesn’t make us Christians just as going to the hardware store doesn’t make us carpenters. What makes us Jesus’s followers is what we do with what we’ve been given. I’ve found that Jesus comforts the disturbed and disturbs the comfortable. He challenges the prideful and arrogant while loving and lifting up the humble. He breaks down systemic injustice and rebuilds the kingdom of heaven in its place. 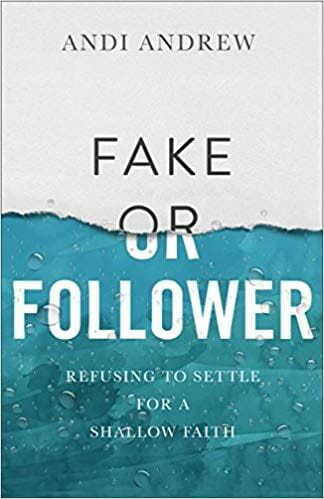 This article is an excerpt of Andi Andrew's Fake Or Follower, Baker Books, a division of Baker Publishing Group © 2018. Used by permission. 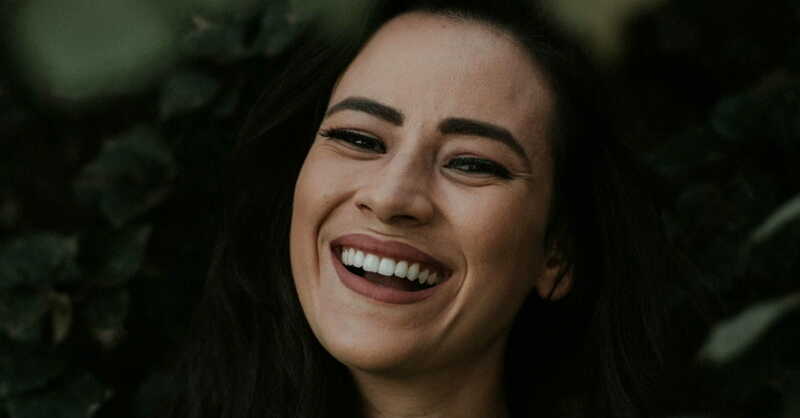 Andi Andrew is the author of She Is Free, as well as cofounder and copastor with her husband, Paul, of Liberty Church, with five locations in New York City, as well as locations in Manzini, Swaziland; San Francisco, California; and St. Petersburg, Florida. In 2015 she launched the She Is Free Conference in order to equip and activate women to walk in freedom, spirit, soul, and body, and see others set free in their sphere of influence. A frequent speaker all over the world, she lives in Brooklyn with her husband, Paul, and their four children.